“Our Family” in Swahili, Jamaa Letu provides a safe haven for young Congolese victims of war, famine, poverty, and abandonment. 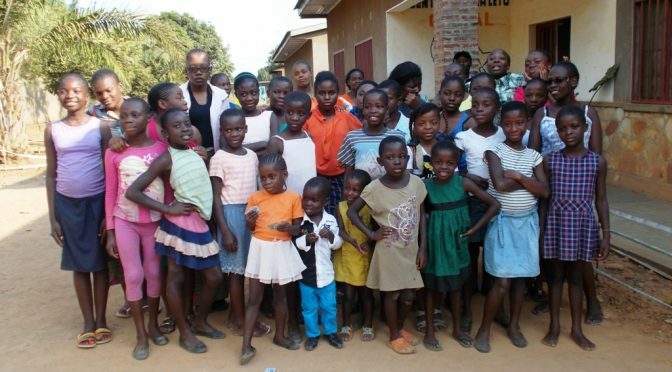 The funds collected by the Hope for the Children of Africa task force have built a secure compound for the girls and boys, pay their school tuition, and provide their food, water, a bed, and medical needs. Efforts are made to reconnect families with abandoned children, often successfully. Once the children complete the equivalent of high school, they are no longer eligible to live at Jamaa Letu. College scholarships are established to help these young people become successful adults through education. Click here for a brochure with additional information. Click here for photos of the orphans.